The Rebel Sweetheart. : Pucker Up! | Tony Moly Berry Berry Magic Lip Tint. Pucker Up! | Tony Moly Berry Berry Magic Lip Tint. Let's start with the Berry Berry Magic Lip Tint from Tony Moly. It's a color-changing, strawberry-scented lip tint in gel-form, and one of the best-selling products from the brand. Tony Moly Berry Berry Magic Lip Tint, still sealed. 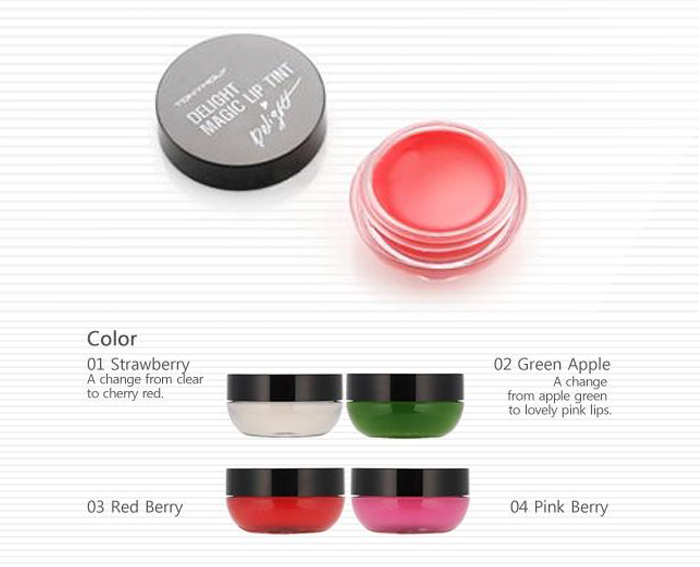 The Berry Berry Magic Lip Tint comes in three variants - 01 Clear, 02 Green Apple, and 03 Grape. Mine is the clear one, as you can see. 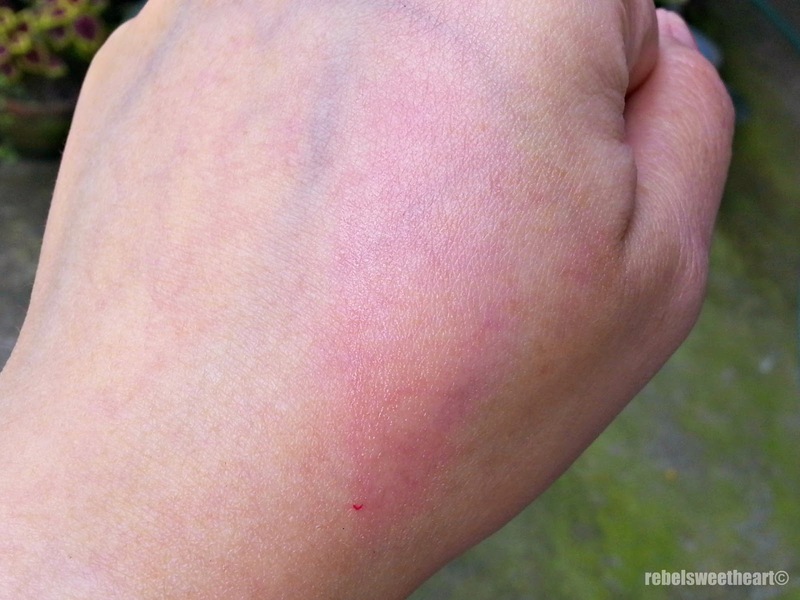 It gives a hint of pink when swatched on the skin. 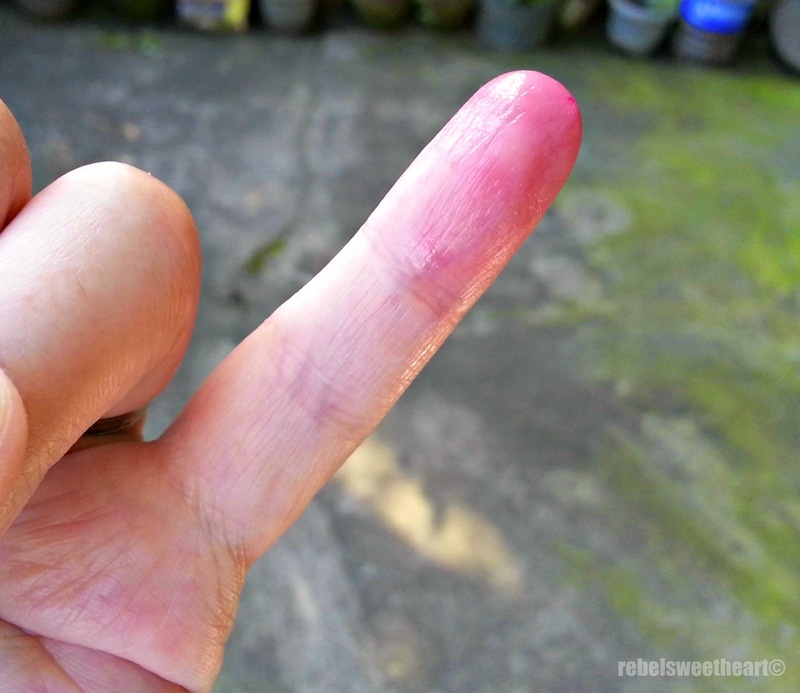 Pink stains on my pinkie. Here's how it looks like when worn. With Tony Moly Berry Berry Magic Lip Tint 01 Clear. I love how this product moisturizes my lips (I actually skip the lip balm whenever I wear this), and gives it a pop of color at the same time. The color is buildable, and has great staying power, too. It fades a bit after eating and drinking, but it leaves your lips with a natural-looking, pinkish stain. Tony Moly Delight Magic Lip Tint. The potted packaging and color-changing formula is the same. It's also priced at Php 198 (around $5), like its predecessor, the Berry Berry Magic Lip Tint. The only difference is that there are now four colors to choose from. Oh, and they tweaked the cap design, too. They added the name of the product, instead of just writing 'Tony Moly'. Benefit Erase Paste in Medium, Skin79 Skinny Mirror Pact. Love & Beauty Eyeliner in Dark Brown, Fairy Drops Volume Burst Mascara. 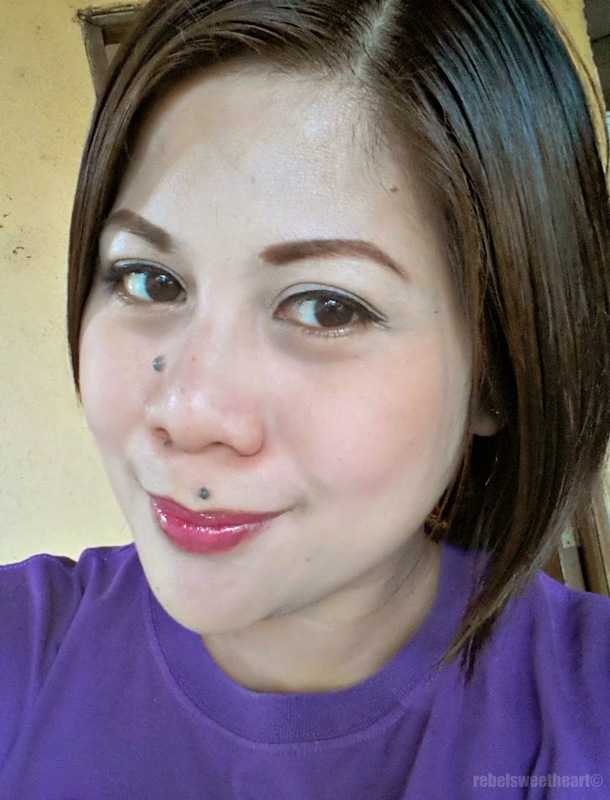 LIPS: Tony Moly Berry Berry Magic Lip Tint in 01 Clear. Have you tried color-changing lip products before? What brand/s are your favorite/s? It looks like its not too much, it looks pretty good.. I need to go and get this to try! That is such a pretty color. I can't believe it changes from clear to a pretty, glossy shade. This looks pretty good. Good choice of colors to chose from. I would give a try on Berry Berry Magic Lip Tint with Grape color. Thanks for sharing. I've never heard of this brand. The color is really pretty.